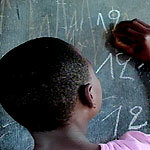 Can the World Bank do better here in the DRC? 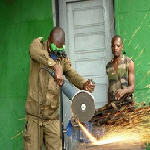 Criticised for their different interventions here in the DRC, the World Bank decided to take up the challenge. 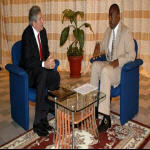 President Paul Wolfowitz visited the country from March 8 to 9 2007, within the framework of reinforcing relations between the DRC and the Bank, and with a view to preparing the programmes for economic reform and the consolidation of the peace. The new Government in the Democratic Republic of Congo (DRC), which was elected last year in landmark elections, must make child protection a "priority" and ensure enough resources are allocated to reintegrate former child soldiers into their communities, the top United Nations envoy on children and armed conflict said today. 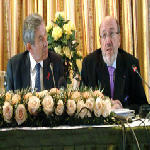 At a press conference in Kinshasa on Friday March 9,2007, President of the World Bank Paul Wolfowitz stressed the need for the institution to 'move fast' in support of the DRC's reconstruction. He expressed his optimism for the country's future, and said that the World Bank was fully committed to supporting the fledgling DRC government in the fight against bribery and corruption, which he said was the 'main obstacle' to economic growth. World Bank President Paul Wolfowitz gets a first-hand look today at one of the biggest challenges to the Democratic Republic of the Congo as it emerges from decades of strife. 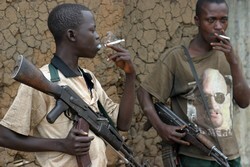 The United Nations is focusing attention on child soldiers in Africa. 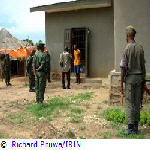 One country where children are still feeling the terrible effects of war is the Democratic Republic of Congo. 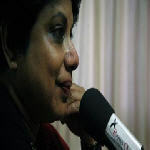 The United Nations envoy on children and armed conflict, Radhika Coomaraswamy is on a six-day visit to DRC to discuss the issues of children associated with armed groups, sexual violence and impunity with the government authorities. In Kinshasa, on March 5, 2007, she spoke further about the aim of her visit before traveling to Ituri district and the Kivu provinces. 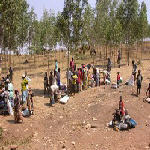 About 43,400 Congolese expelled from diamond mines in northern Angola are living in precarious conditions near the Congolese border, humanitarian officials said. 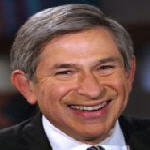 During his visit to Central Africa (March 7-9), World Bank President Paul Wolfowitz will visit programs for ex-combatants in Burundi and the Democratic Republic of Congo (DRC). Their demobilization and reintegration are being supported by funding from the Multi-Country Demobilization and Reintegration Program (MDRP). Parliamentarians from Africa's Great Lakes countries have urged their governments to end conflicts in the region, noting that particular measures were needed to protect women and children, who suffer most in wars.